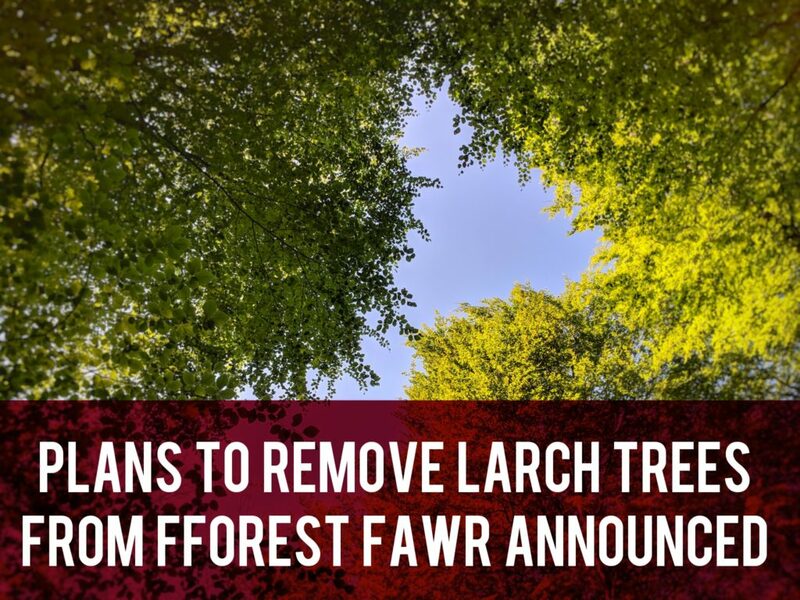 Natural Resources Wales (NRW) have announced plans to manage the removal of diseased larch trees from Fforest Fawr. Approximately 4,000 trees will be felled over the next 3 years. I spoke to NRW’s Local Area Manager, Mike James, at yesterday’s drop in session and he went through the plans with me. Phase 1 of the work is due to start at the beginning of September and could last up to 6 months. The car park will be closed for the first 3 weeks while they fell trees close to the diversion trail (see maps below) so it’s safe to open. Mike explained, “This diversion trail is meant for pedestrians and disability access only, most of it is a public footpath and it is not suitable for a multi user trail as there would be too much conflicting traffic. Cyclists can still access the forest from the Taff Trail. Interpretation panels will be in place at 5 sites around the forest showing the exclusion zone. NRW are asking visitors to obey all safety signage. Phase 2 is scheduled to start in September 2021. You can get in touch with Natural Resources Wales by phone, 0300 065 3000 (Mon-Fri, 9am-5pm), email (enquiries@naturalresourceswales.gov.uk) or on Twitter and Facebook.